The reality that Michael Kutschbach sets forth with considerable precision in his current works rises above the straightforward presence of objects in our commodity-based society. Just what is the artist, as someone living squarely in the present day, actually working on? On the past? On the future? The forms in his drawings and sculptures resemble structurally solid amalgamations of primitive hand-axes and space debris. They are figures of altered and fluctuating being. With them, he tests whether they can generate meaningful insights in new and alternating relationships. Kutschbach experiments on a level aligned with an uncommon form of wordplay in drawing on Lewis Carroll’s book Through the Looking-Glass, and What Alice Found There (1871). “Galumph,” the title Kutschbach has selected for his drawing series, forms part of the nonsense verse from Carroll’s poem Jabberwocky. (1) The mode of locomotion expressed there as “galumphing” is described by the Oxford English Dictionary as a mix between “gallop” and “triumphant.” We can assume then that Kutschbach looks at the results of his creative efforts in a calmly triumphant way and one similar to how Lewis Carroll views the frightening Jabberwock, which he, with a twinkle in his eye and a puffed-up chest, observes leaving the scene of his terrible act. Reality, in Michael Kutschbach’s drawings, is a seesaw that sometimes tends toward the side of recognizability, and then toward the other side located through the looking-glass. Even so Kutschbach has already situated what’s visible far enough inside the realm of the fictional that it is anchored more closely to a poetic description of an invented something than it is to an object we recognize from daily experience. In his work, Michael Kutschbach reasons as effectively as Humpty Dumpty—the well-known nursery rhyme figure who also makes an appearance in Carroll’s book—when it comes to the meaning of words. It’s about letting forms “assume all possible meanings” (2) within a wide range of associations. In accordance with “Humpty Dumpty semantics,” an intentionalized concept of language or forms applies to Kutschbach, whereby words (or forms) don’t acquire meaning via usage, rather this is constituted via the acts of the subject that confer meaning upon them. Kutschbach’s works arise less out of feelings than out of forms, which, for example, are created on a heavy, stiff card stock that the artist first cuts into a rounded shape (each roughly 35cm in diameter). Employing a variety of lead and graphite pencils, graphite powder, a straight edge, as well as hard and soft erasers, he then finishes off the work he has set out for himself in a building up and subtracting of lines and shadows. Astounding are the kinds of unusual (or perhaps I should say: singular) occurrences produced here that manage to evade being pinned down, either in their inner orientation or their angular sleekness, or in the principles of addition and subtraction with which they are brought to life. Kutschbach draws, erases, and scratches. He can take three days to complete a drawing or he can finish one in only three hours. In 2009 Kutschbach completed twenty-six 14 x 12 cm small-format drawings. In his drawings and sculptures Kutschbach is the master of unrestricted freedom. He delves into the immense and wonderful inner-world of forms, he draws and models in order to experience another reality, and he creates in order to bring into being what cannot be put into words. One might think the vocabulary of forms would play itself out after only three drawings. No evidence of this exists. Every last mark contains the potential energy of a finely hewn stone. It whirs and breathes. Controlled chaos resides here. It is genuine exuberance compressed into formal values. An evident self-assuredness assigns every sensually executed possibility the proper place and appropriately cool temperature. Little by little, from mosaic tile to mosaic tile, Michael Kutschbach feels his way through time and a parallel world. In every drawing one beholds how he has worked it, erased marks, consolidated constellations, and retained contexts compactly. Compositional depths are tightly intertwined with intricate harmonies. Like progressive radicals, Kutschbach’s balled up forms veer into the unknown. They exist only because the artist has granted them existence, and, from here on out without any more of his help, they belong to this world. Kutschbach’s drawings and sculptures differ only incrementally given the decidedly tactile nature of the formal vocabulary of his drawing. But only now do his drawings fold inward and expand outward in their 3-dimensionality. Since December 2009 approximately ten plaster casts have been produced, which are then airbrushed with black and gray inks and waxed in order to give the surface a warm, supple, and skin-like feel. They oscillate atmospherically between an exalted sense of culture and the experience of deformation. This comes across not as atonal or blunt, but unconstrained. But Kutschbach doesn’t stop there. Not only has he decided how the drawings are to be framed (and also taken on silver leafing them himself, which sometimes takes longer than making the drawing itself), he now sets the drawings and sculptures up in room-sized arrangements. The title he has chosen for his installation of drawings, sculptures, and towering wall drawings (ca. 350 x 200 x 800 cm) is the resounding and boyish “Callooh! Callay!” (3) Now they are truly part of the world, the Kutschbachian harmonious conglomerate. The wall drawings and intimate drawings on paper play off one another like macro and micro designs. But they are all part of a categorical system, in which freedom and coincidence are recognized as anthropological constants. Furthermore, they possess every quality a substantive work requires in order to communicate: clarity, depth, construction—bound with expressive power. Thus walls and rooms become receptive to the captivating manifestations of hidden worlds. Amorphous, crystalline, contorted, helmet-like, plump rocailles and a vibrant surrealism open a door to new and mysterious spatial settings. Neither in content nor in the interrelationships of mediums does Kutschbach seek to make any promises. The viewer can move about like a traveler. Gaps and openings persist in order to open up an unrestricted space in the mind of the viewer—a space that engenders a sense of euphoria. His sense of exalted amazement that I grasped is the most significant reward I take away from meeting this exceptional artist. “Callooh! Callay!” is also a quote from Jabberwocky by Lewis Carroll, l.c. 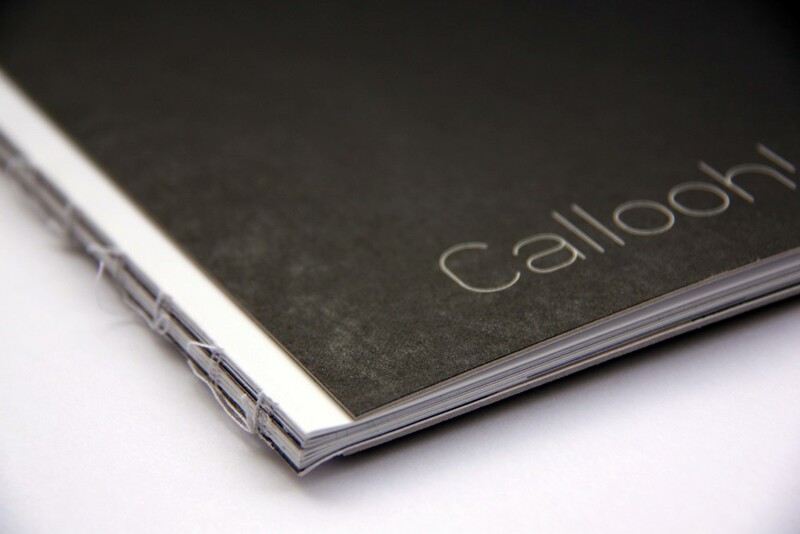 Above is an excerpt from the catalogue essay to “Callooh!, Callay!”, the publication produced to co-incide with the solo exhibition of the same name held at Künstlerhaus Bethanien, Berlin from 25.03.2010 - 11.04.2010.